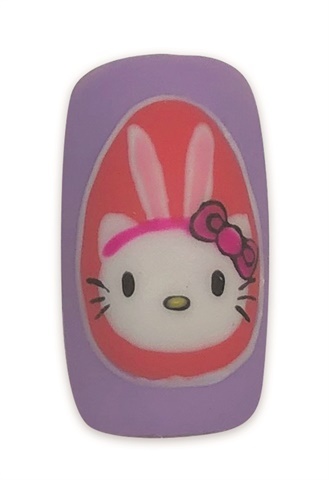 Nail tech Sandy Nguyen of Brampton, Ontario, Canada, created this adorable Hello Kitty nail art for Easter. Follow her on Instagram @nailzbysandy. 1. Apply two coats of Tea Cups by Bio Seaweed Gel. Cure each coat under an LED light for 30 seconds. 2. Using a thin liner brush (0.7cm), paint an egg with Young Nails Mission Control in Molten. Cure for one minute. 3. 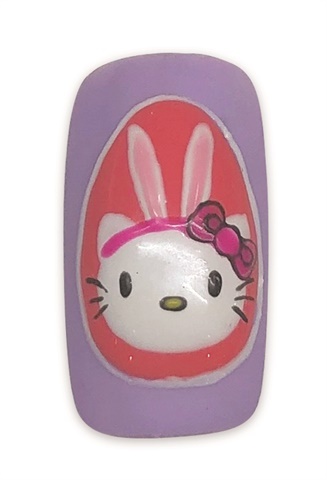 Using Young Nails Mission Control in Fizz, paint Hello Kitty’s head. Cure for one minute. 4. Paint the ears in Fizz. 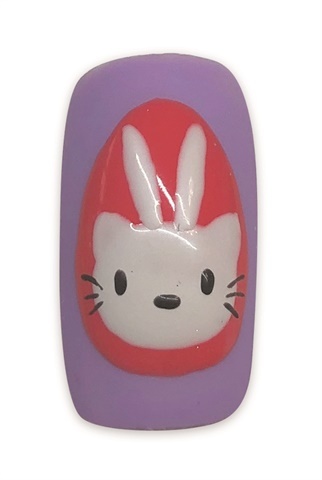 Use Young Nails Mission Control in Overdrive to paint the eyes, whiskers, and the outline of the nose. Cure for one minute. 5. Use Young Nails Mission Control in Mega Jam and Solar to paint the bow and the center of the nose. Then use Bio Seaweed Gel’s Charlottetown to paint the center of the ears. Cure for one minute. 6. Outline the egg with Fizz and the bow with Overdrive. Cure for one minute. 7. 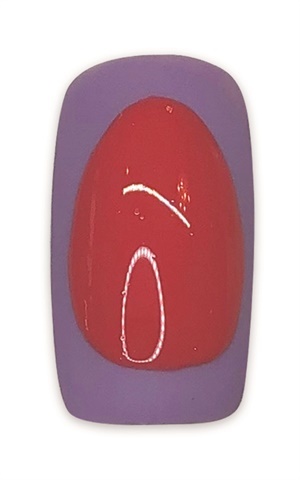 Apply your favorite top coat to finish your design (Nguyen used Ugly Duckling Nails matte top coat). Cure for three minutes.